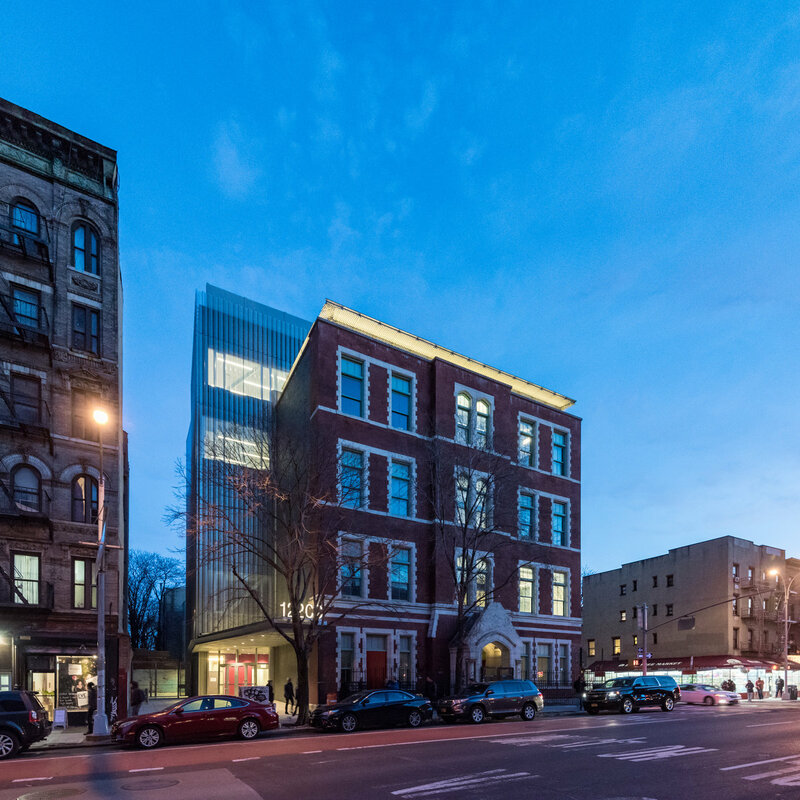 New York’s Deborah Berke Partners (DBP) has just completed interior work, unified by a subtle side-lot addition, on 122 Community Art Center, a space for theater, painting, and health services in the East Village. The five-story building, a former schoolhouse at 150 First Avenue, cheerily commands the corner of 9th Street. In the 1970s and 80s, arts groups occupied the building: actors from P.S. 122 (now Performance Space New York) converted the column-filled ground floor into a theater, and artists affiliated with Painting Space 122 worked under the light from tall classroom windows. Despite their long residency, the two groups, plus theater company Mabou Mines, legalized their occupancy only ten years ago. Working in collaboration with these groups, plus a health nonprofit, the Alliance for Positive Change, the city’s Department of Cultural Affairs and Department of Design and Construction initially tapped DBP to bring the performance spaces up to code, but the project evolved into something bigger: Over a year of talks, the stakeholders developed a unifying program that would enhance inter-group collaboration while improving their individual workspaces. 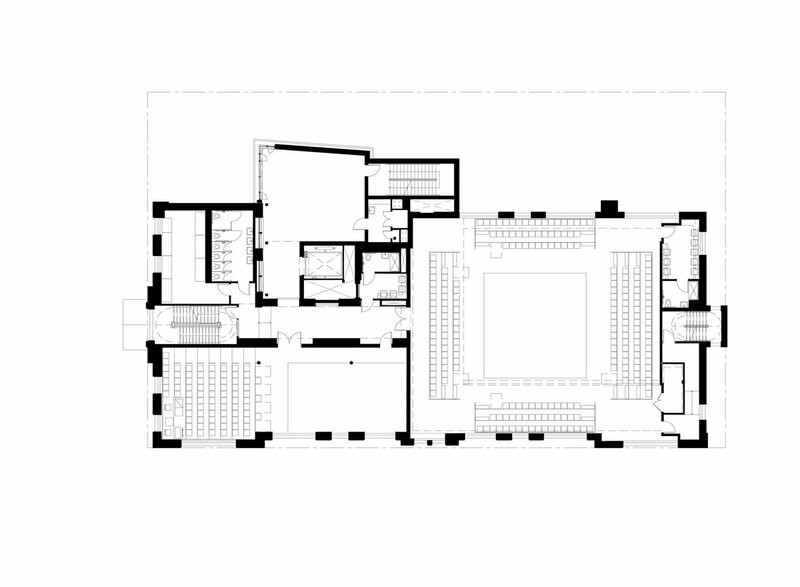 All four nonprofits wanted a room for meetings, and an ADA-accessible entrance lobby, as well as a common roof space. 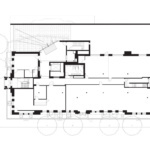 To meet their needs, DBP carried the building, lightly, into an adjacent lot. Their addition, essentially circulation and a new entrance, hugs a former masonry schoolhouse designed in 1894 by C.B.J. Snyder—New York’s go-to school architect at the time. 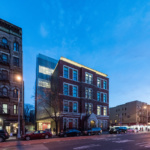 The addition, clad in a perforated steel scrim and tucked carefully into the north wall, lightens the school’s heavy red-brick facade without compromising its classical symmetry. On the fourth floor, the largest theater belongs to Performance Space NY, a company founded in 1980 in the building. Previously, the group staged performances on a first-floor space littered with structural columns, a charming but challenging arrangement. 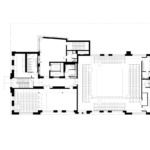 Now, actors perform in a double-height theater with a black-painted sprung floor—one of the extras the city paid for over the five-year-long construction process. On the second floor, Mabou Mines was staging a show in the smaller, 99-seat theater, and a puppet show had just wrapped in an adjacent studio. The second and third floors host Painting Space 122’s studios, while the ground floor is home to their gallery and the Alliance for Positive Change clinic. Shop space, offices, studios for dance group Movement Research, and an as-yet-unfinished roof deck round out the program. 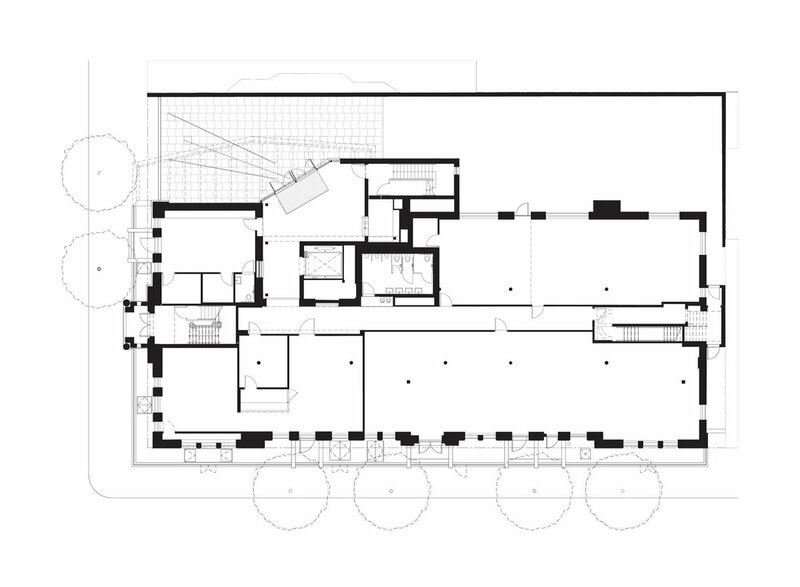 Throughout, the color palette is simple: black for the floors, grey services and mechanicals, and white walls. To further unify the groups’ individual workspaces, Berlin-based artist Monika Goetz crafted two light installations on multiple floors that dim and brighten rhythmically, like calm breath. Inhale/Exhale and Independent Lines, installed as architectural lighting on the cornice, and in the lobby and third floor addition, were visible from across the street on an overcast day, understated reminders of the creative frisson inside the building. The space is half-open right now, but Jones stated that renovations will be complete sometime before summer 2018.